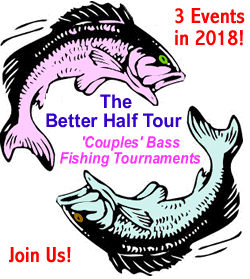 Sponsorship of the Better Half Tour Bass Fishing Tournament is a great way to show your support of our wonderful community, while gaining great exposure for your business. By becoming a sponsor your company is included in ALL promotions about tournaments and at the tournament weigh-in. The publicity generated by this family oriented event is tremendous, and angler’s feedback is 100% positive. 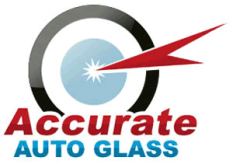 The Better Half Tour tournament would not be possible without the support of our generous sponsors. We’re committed to building lasting partnerships. Our sponsors are showcased and marketed to not only our participants, but also to thousands of viewers we reach annually through print, Internet, and radio broadcast. 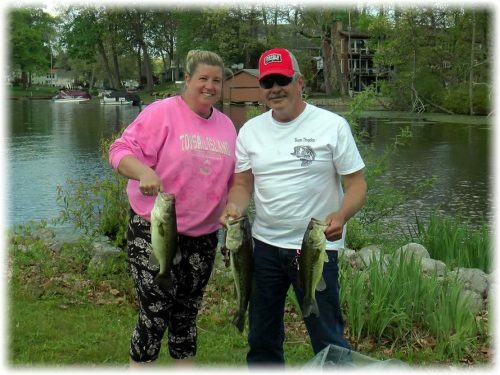 Sponsorship provides the means to promote and educate, while the Better Half Tour provides the vehicle for sponsors to reach the mixed team bass fishing market. 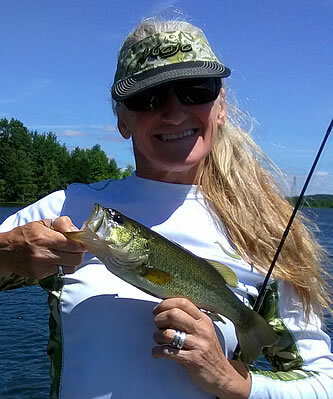 Our fundamental goal is to further educate, grow and maintain the sport of bass fishing in North America, to be achieved by building strong partnerships with our sponsors in ways that enhance awareness and cultivate interest across traditional boundaries.